This lecture takes the principles evident in the Hellenistic text “On the Fixed Stars” and teaches how Hellenistic astrologers integrated Fixed Stars into the natal chart analysis, and how this is relevant for modern astrologers. Extrapolating on Anonymous of 379’s principles, we will also learn how to make sense of all other “new” astronomical bodies that are introduced into astrology now and in the future. Most astrologers have no idea where all the different systems come from or what they mean. Maybe your teacher swears by “Placidus” houses, but how do we explain the great results obtained by other famous astrologers using Equal, Koch, Regiomontanus, etc.? With the aid of two hula hoops and an orange , Kenneth will explain how each house system is made, WITHOUT THE USE OF ANY MATH! If you can visualize a circle, you will leave this lecture with the ability to explain to your friends exactly how you arrived at your house cusps! Eliminate forever the embarrassment of not understanding why you cut the houses the way you do. And find out the common denominator underlying ALL house systems! Don’t miss this essential lecture for your astrological education. Don’t miss the HULA HOOPS! Sidereal vs. Tropical Zodiac: Can There Be More Than One? 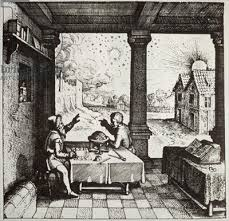 At the dawn of astrology there were just planets and stars and gods. 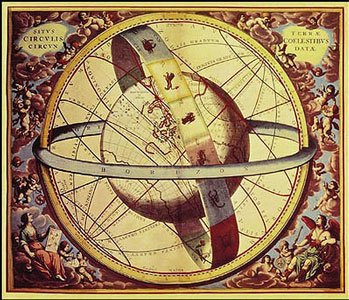 At the dawn of Horoscopic Astrology the Greek speaking peoples sided with Tropical, while their Indian cousins clung to the constellations. Can they both be “right”? 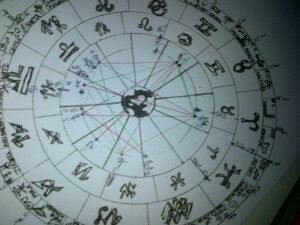 What do two zodiacs mean for the fate of Astrology?